Not only do these pups want to play fetch, but they also hunger for brains! I am pleased to present you with the latest edition to Marcus’ Magnificent Menagerie, my rotting pack of Canine Remains! Hey internet! 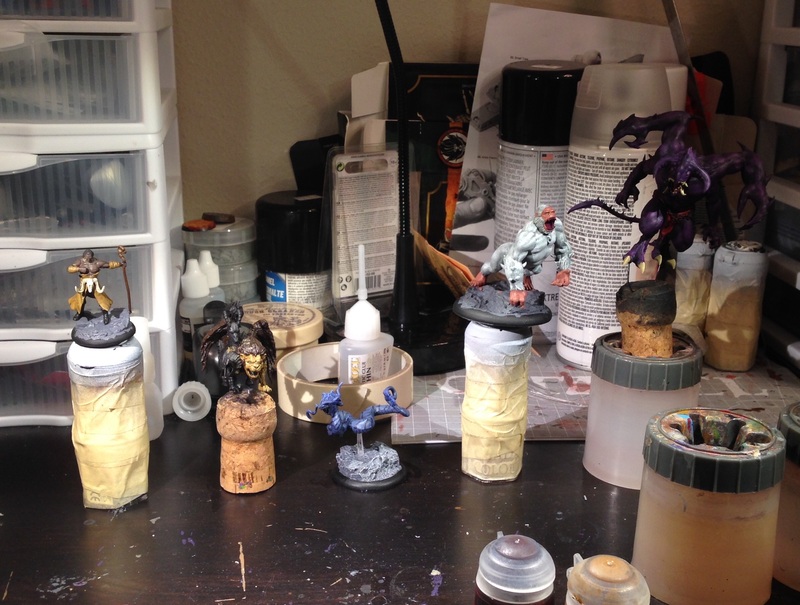 I need you to shame me into finishing some miniatures! Allow me to explain–Wyrd miniatures has announced their Iron Painter 2015 competition; this competition is a little different than other painting competitions in that it is set up as a single elimination tournament where painters face off head-to-head and have two weeks to complete a miniature from build to finished product, last painter standing wins. The Iron Painter is currently scheduled for about 10 weeks and begins April 3rd. As this is a grueling schedule to maintain for cranking out competition worthy models, even those who are eliminated but continue to complete an entry for every round are to receive recognition and accolades for their herculean effort. That being said, I have masochistically decided to throw my brush into the ring and undertake this epic challenge. Now, I am a notoriously slow painter prone to bouts of hobby A.D.D., and that is where you come in, denizens of the internet. In preparation for the Iron Brush competition I feel that I need some warm up at getting models done on a time-line, so I ask you all to help me do this–if I do not post a finished photo of at least one of the above models (all of which I have been meaning to finish off for months) within one week of this blog post, I ask that you heap your shame and scorn upon me. Are you with me!? CHARGE!!!!!! !